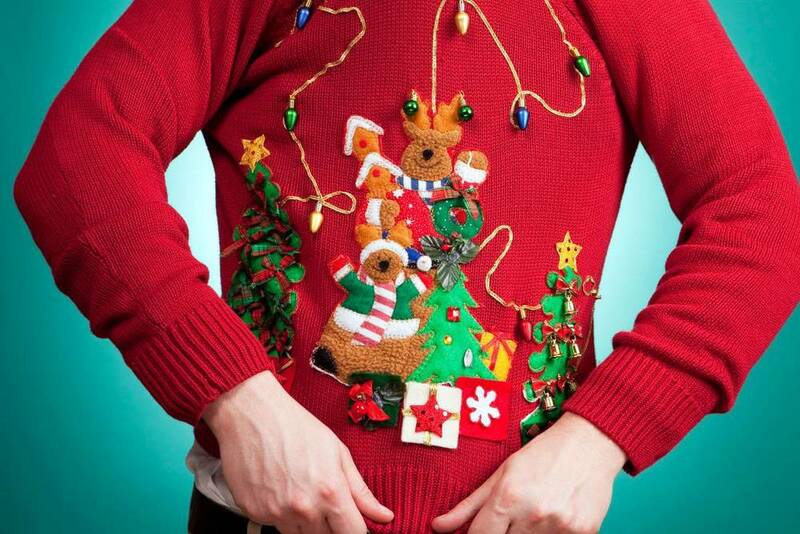 Ugly Christmas Sweater Wednesdays are on! 3) We'll snap a picture of you in it, and put it on Facebook and Twitter. That's right, for all the world to see. 4) Most Likes and Retweets wins themselves and one friend a free draft beer (or shot)! So let's go, everyone. We want lights with battery packs, we want disembodied reindeer, and more than anything, we want your lack of shame.